One of Boulder’s most notorious chains among students and families alike has historically been one restaurant that I stay clear of. But after visiting California Pizza Kitchen last weekend,I discovered that it might be time to readjust my views. The aspect of this national favorite that has always deterred me is the atmosphere: loud, big, generic. While often times the service is speedy and waitstaff accommodating, the menu is clearly mass-produced and geared towards the masses. Nothing organic or farm-t0-table here. Nevertheless, the menu was tempting, featuring specialties from countless pizzas, to salads, to pastas, to appetizers and small plates, in addition to delicious-looking specialty drinks. 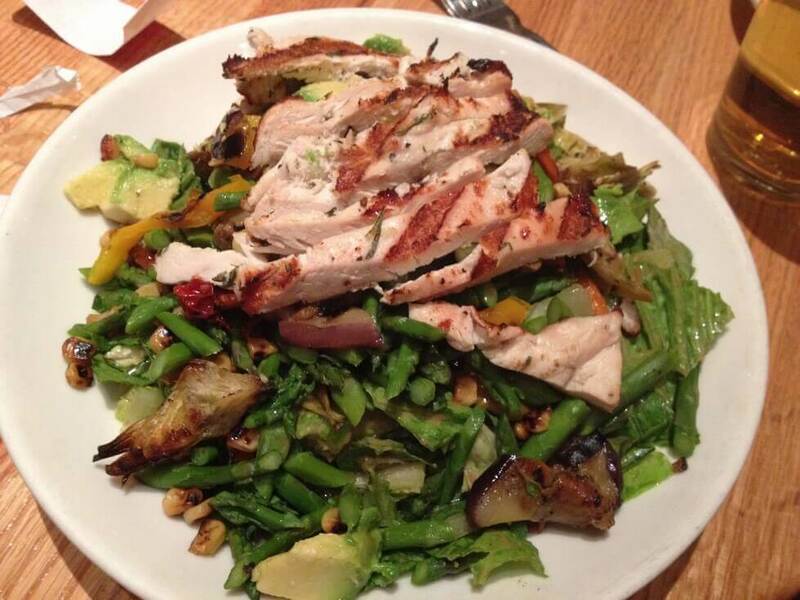 I selected the Roasted Vegetable Salad, one of the newer additions on their menu. This big bowl of romaine was layered with roasted artichoke hearts, asparagus, eggplant, roasted red and yellow peppers, corn, sun dried tomatoes, avocado and homemade balsamic dijon vinaigrette (and I chose to top it with chicken). CPK’s portions are so huge that I opted for the half portion, and still walked out absolutely stuffed. To my delight, the roasted veggies were fresh and flavorful and I loved the variety of toppings. CPK is absolutely one of the best options in Boulder to go with a group of unadventurous of diverse eaters. The mega-chain delivers fresh and healthy options, or plenty of more hearty selections. But for those looking for a more creative, local menu, Boulder has plenty of other options to better suit your tastes.